Welcome to Pioneer Auto Body. Pioneer has been serving the collision repair and towing needs of folks in Medford, New Jersey andthe surrounding area for over 31 years. 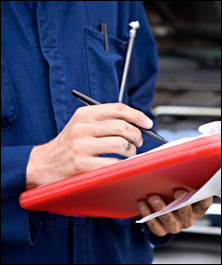 We service all vehicles both foreign anddomestic. We have a professional staff, a proven track record, and the tools to get the job done right. Our state-of-the-art Online Vehicle Status System (OVSS) allows you to track your vehicle’s progress as we work on it. We will even send you email updates of our progress that include an estimated time of completion. We are proud to be one of the only auto body repair facilities in the country to offer this cutting edge service to our customers. We accept most major insurances and we will assist you with your claim. Click Here for a list of insurance agencies we work with.